It’s 12:10 on a Sunday afternoon. I’m walking between two buildings at the University of Minnesota, carrying my carefully scribed flip-chart pages for the Next Generation Environmental Congress. We couldn’t get into the building where the event was being held until noon, right when registration started, and while I had promised to help with registration, I was running a little late. I was amazed to see, as I walked up the stairs, a line of people stretching back from the registration table. I quickly set up to help Abbie and Natalie check people into the event, and we were consistently welcoming new people until after the welcome speech started at 1pm. Check out those nice lookin’ post cards to protect our future. Overall, getting to meet young people from around the state (and inviting them to apply for Summer of Solutions by March 3rd) was a treat. 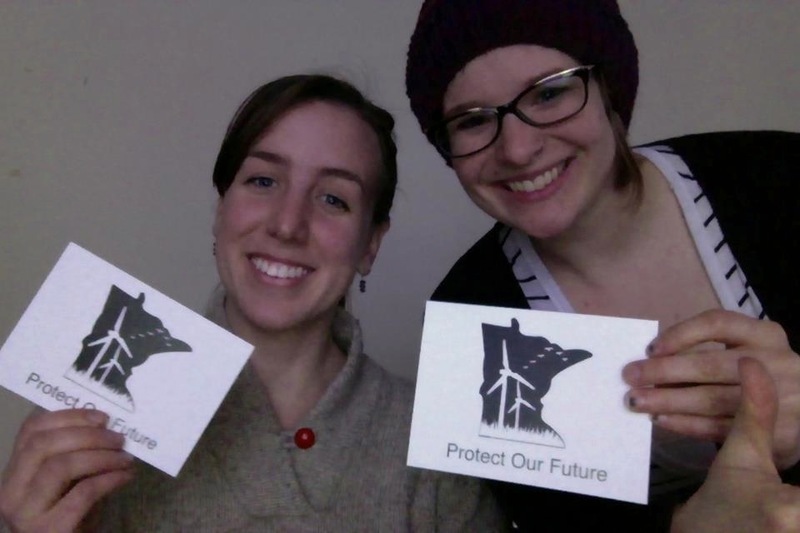 I got to connect with University of Minnesota Twin Cities students who are researching the transition town movement, with the new Beyond Coal organizer for the Sierra Student Coalition, and many more inspired, passionate young people. Events like this remind me of our reason to hope for the future — there are more people working on these issues like we are, and together we can build the world we want to see. This entry was posted in Alumni Spotlights and tagged environmental congress, mnyen, twin cities by rubylevine. Bookmark the permalink.